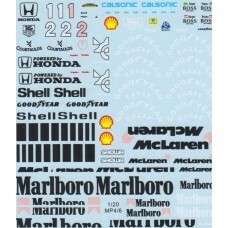 This is a 1:20th scale conversion decal set for the Tamiya Benetton B192. 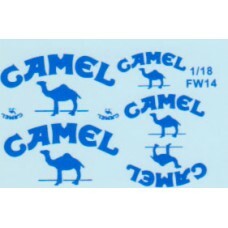 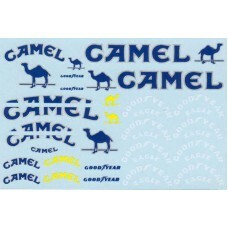 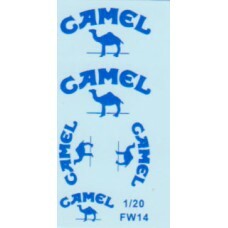 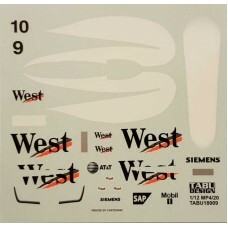 This decal set will enable..
1:18th Decal set for the Minichamps Williams FW14 'Camel'..
Tabu Design 1:18th scale decal set for the 'West' livery for the McLaren MP4/20..
Tabu Design additional decal sheet for the McLaren MP4/2C. 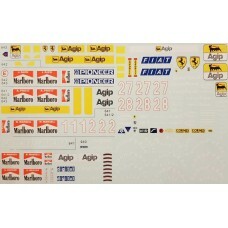 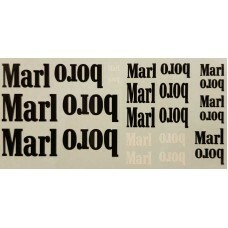 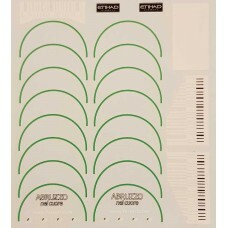 The set contains the necessary addi..
MSM Creation 1:20th scale decal sheet for the Tamiya Ferrari 640-643. 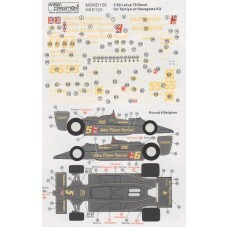 This is a comprehensive ..
1:20th Scale conversion decal set for the Tamiya 1:20th scale Lotus 99T. 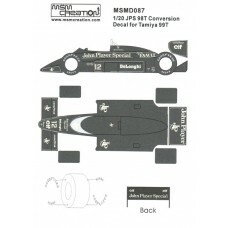 This decal set will enable ..
1:20th additional decal designed for the Fujimi Williams FW14 'Camel' to convert into the full ..
1:20th scale decal sheet to convert Ferrari F2007 into full race livery as seen at Monaco and China ..
1:43rd scale decal sheet to convert Ferrari F2007 into full race livery as seen at Monaco and China ..
1:20th Barcode decals for the Ferrari F60 (2009) Designed to fit the Tamiya F60 kit..
1:20th scale conversion decal set for the McLaren MP4/7. 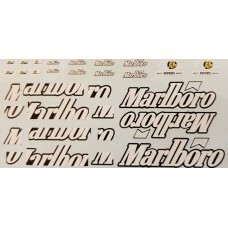 The set includes full Marlboro livery decal..
1:20th Scale conversion decal set for the Tamiya 1:20th scale Lotus 79. 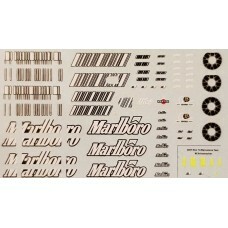 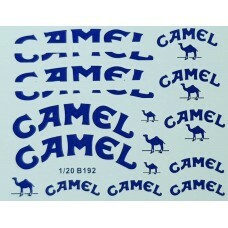 This decal set will enable t..